FAM-3: FAM-3 was awarded to Gulf Coast Air Line. Pilottown LA was built on piers over swampy ground on the East Bank of the lower Mississippi River about 85 miles down-river from New Orleans (75 miles by air). It is located a few miles above Head of Passes, the point that is considered to be the mouth of the Mississippi River. FAM-3 was awarded to Gulf Coast Air Lines to transport mail from New Orleans LA to Pilottown for further transport on Central and South American steamers visiting Pilottown. 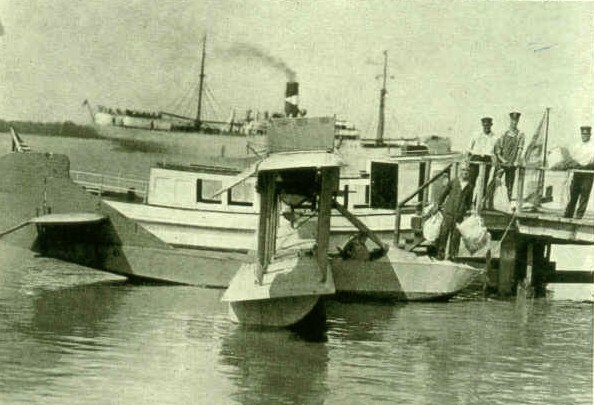 On April 9, 1923 Gulf Coast began making round-trips from New Orleans using both the Curtis HS-2L and MF flying boats to transport air mail for the visiting steamers.